Since that first day in 1988, the music has continued to carry Maestro Diemecke through life’s ups and downs, to success, stardom and personal fulfillment. Most importantly, he gets to bring his love of music to audiences worldwide. 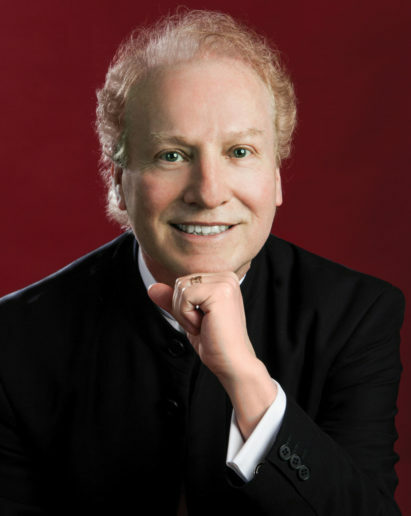 He has conducted orchestras across the U.S., in Great Britain, France, Spain, Russia, Colombia, Puerto Rico, Poland, Australia and many more wonderful and gracious cities and countries. 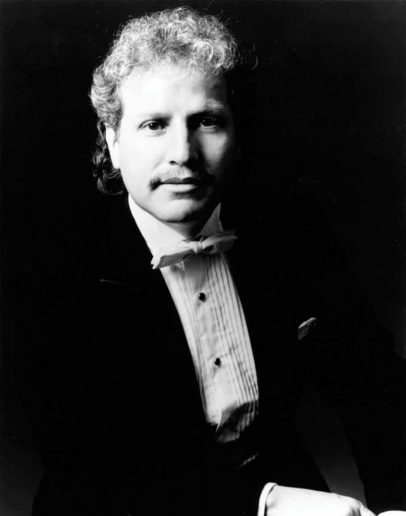 He is currently the Artistic General Director of the famed Teatro Colon in Buenos Aires. Throughout his travels, the Maestro never forgets the small city that has given him his start. Every year, he returns to Flint to direct and conduct the FSO’s concert season. 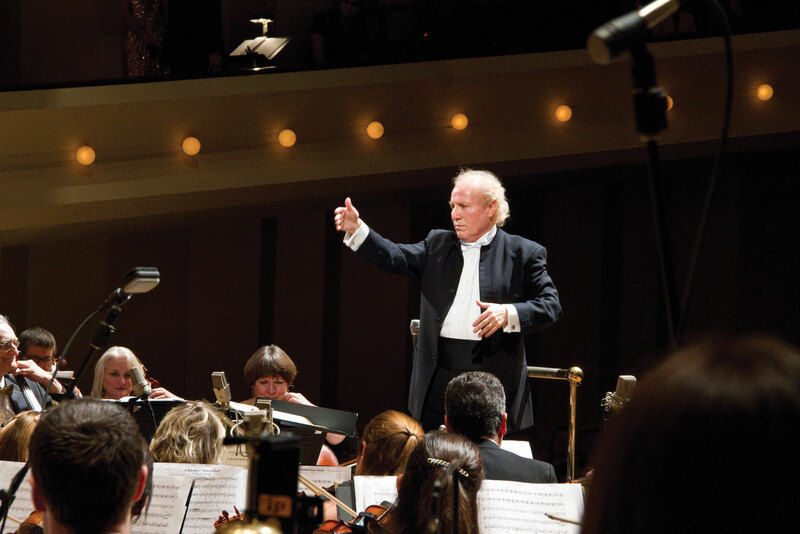 At the recent Grand Gala 30th Anniversary Celebration, the orchestra bestowed him the title of Conductor Laureate, which was deeply moving to him. My City Magazine was honored to sit down with him at FIM and talk about his life, his love of music and our fine city. In 1952, Enrique Arturo Diemecke was born in Guanajuato, Mexico, to musicians Emilio and Carmen. He was one of eight musically talented siblings. “My family and I have played together all of our lives,” Enrique says with a smile. “As a child, I was in a string quartet with three of my siblings. We took our first steps together and we performed for the first time together in front of an audience. Playing with my family is always a joy. It’s natural. We feel comfortable performing and delivering music to our audience.” Maestro and his siblings play together whenever the opportunity arises, and were happy to dazzle attendees of November’s Grand Gala Celebration at the FIM. Diemecke’s parents were also a strong influence in his life. “I lost my father during my first year in Flint. 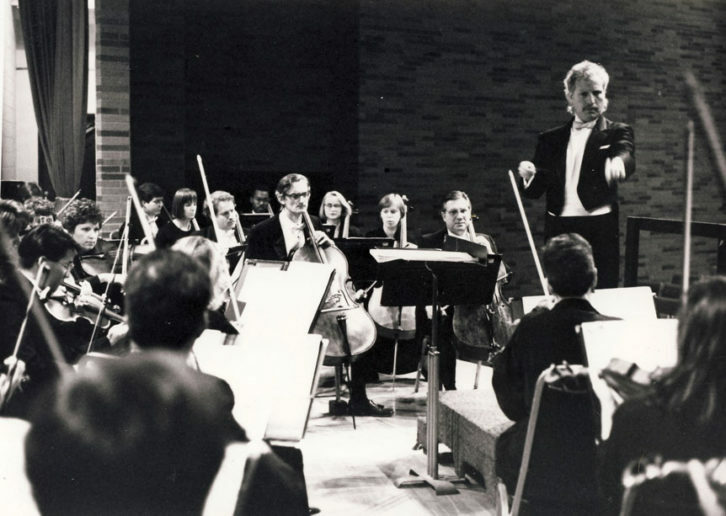 He gave me the strength to begin my first directorship in the United States,” the Maestro remembers. 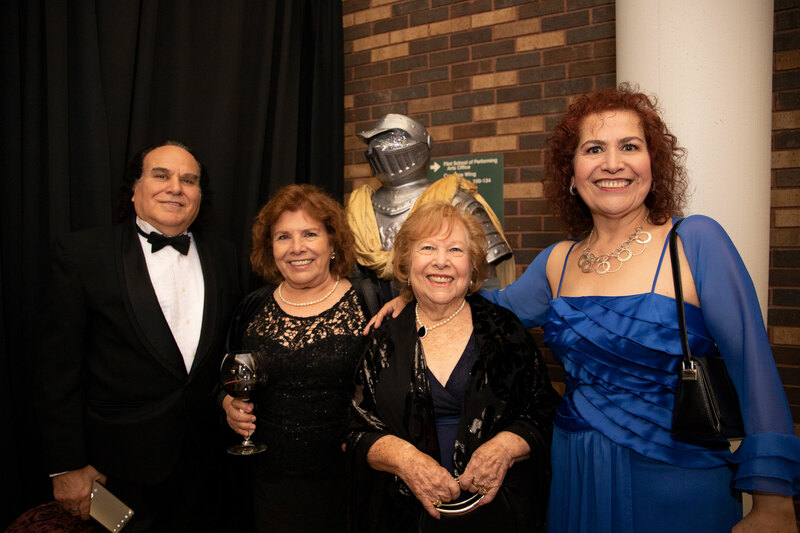 “My mother has been my support with her love, strength and passion for our musical family.” At the 30th anniversary concert, the orchestra performed two suites from Georges Bizet’s Carmen in honor of his mother, who was in attendance that night. As a person, Maestro Diemecke is an absolute surprise. Calm, humble and gracious, he lights up the room with his smile and his humor. (At one point during the interview, we got up to switch seats for photography purposes, and he dubbed it a time to stretch, promptly counting out lunges across the room, laughing all the time.) His personality shines, but it is his passion and knowledge of music that have most directly contributed to his success in the world. For Maestro Diemecke, his passion began with his family but was transformed into something greater by the works of Gustav Mahler – his favorite composer. (l-r) Diemecke Family members who attended the 30th Anniversary Grand Gala included Pablo, Jilma, Carmen and Etna. “It has been a mystery why I was chosen by this incredible composer [Mahler],” he says. “It was his music that invited and pulled me towards a different type of understanding and vision of the world. Some people, as children, want to be superheroes in life. They want to be strong – to have strength to face the circumstances in life. Mahler pulled me into a world that gave me strength to be able to cope with whatever is out there.” It was Mahler’s first symphony Titan, that first showed young Diemecke what music can be and the rich stories it can contain. “I saw it all in Mahler,” Maestro continues, “the rise and fall of the Titans as they were brought down by their arrogance or hubris. It was all there. As I got older, I started to see it more philosophically. These rises and falls are the way we all have to go through life,” he explains. Soon enough, he found himself conducting full symphonies and writing masterpieces of his own. “How I compose depends on the idea,” he explains. “For instance, in Camino Y Vision, I wanted to tell the story of Don Quixote appearing today in my hometown. I wanted to tell that story musically, and I included my personal experiences living in that city to provide a native touch.” He continued, “In Chacona a Chavez, I wanted to capture the feeling of a dance. The chaconne is a dance that was created in Mexico and spread to the rest of the world. 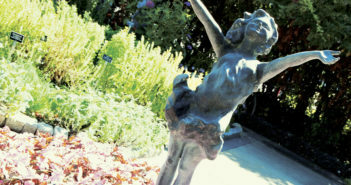 I wanted to follow the evolution of the dance as it traveled from place to place. I made it a little more rustic and different by using rustic or uncommon instruments that were native to Mexico.” Another Diemecke composition, Die Sir E, was written for the 1998 World Cup Final in France. He was living in France at the time of the competition, and his music was written to express his feelings of joy and sorrow in his life, coupled with the elation of French and Brazilian fans as their teams competed in the final. Maestro Diemecke wants to open up his musical world to everyone. “We have to realize that music is simply a vibration or a wave. The whole body is feeling those waves – they will have an effect on you, dependent upon your feelings and yourself. Music is the combination of all five of your senses,” he explains. “Allow all five of your senses to participate. What is the sound of a rose? This is something a composer must sometimes convey to an audience. The smell of the rose, the feel of the rose, the look of the rose must all contribute to its sound. Music is a good tool to convey that sentiment. I sometimes view music as a form of therapy to help you live, enjoy and be more in harmony with the world around you.” The Maestro is thrilled to be able to share his musical world with everyone in Flint for at least three more years. He has recently signed a three-year extension to his contract with the FIM and his plans for the future here involve growth and emotion. “I plan to continue to encourage musicians to deliver their very best performance and to be themselves. I want to continue to see that their lives are fulfilled,” he says. “I want them to learn not just how to dominate an instrument, but to express themselves and share with someone else that expression.” The education of his orchestra members is a determining factor in his choice of concert pieces. “When I first choose a piece, I make sure that it is one that would provide what the musicians need to learn for development and growth. Then, I have to find balance for the show,” he explains. “I decide what piece will be a great opener, I move on to a piece that will provide a chance for a soloist to shine, and the final piece is the main course,” he laughs. I am preparing a wonderful meal!” For the audience, Maestro Diemecke is constantly searching for the best piece that will increase the listeners’ knowledge of classical music, while moving them to a different place, emotionally and spiritually. 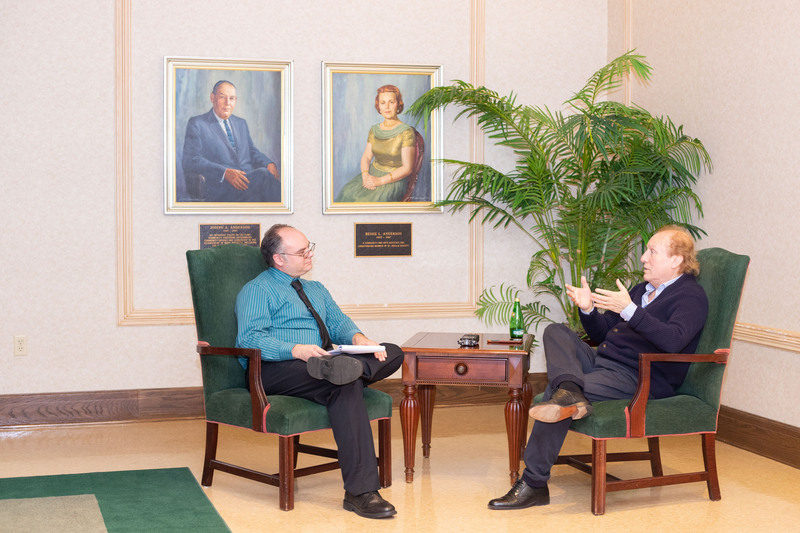 MyCity writer, Pete Hinterman, interviews the Maestro. 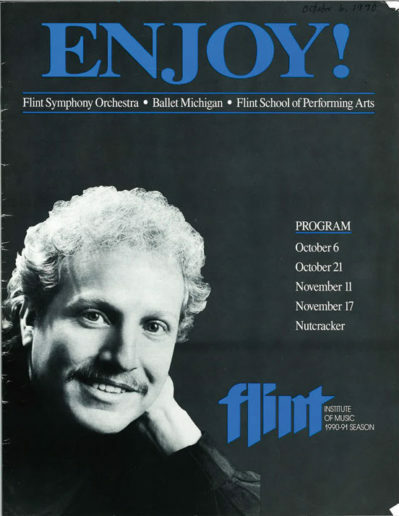 As he begins his 30th Season with the Flint Symphony Orchestra, Maestro Diemecke wants to express how proud he is of Flint and its resilience, and says the city will always be near and dear to his heart. “I love being here, because Flint has given me so much. From the beginning, I wanted to enjoy, give everything and continue to grow as a person and Flint has provided that for me,” he says with sincerity. “Flint has kept me from getting lost in myself, and from the danger of being too selfish – a conductor has that tendency. Flint has taught me not to be that way.” The Maestro has accepted three more years with the FSO and has a goal of continuing the upward trend for Flint. He wants the world to know that Flint has always been wonderful and he would like to share all of the good that is going on in the city. “To honor my love and compassion for music is all that I want and all that I need, and Flint has given that to me. I am honored to go to every other place in the world and give Flint to them with sincerity, passion and love,” he says with a smile. Maestro Enrique Arturo Diemecke, on behalf of the City of Flint and My City Magazine, we thank you for 30 years of amazing music. We are honored to have you. If you have not seen Maestro Diemecke conduct the FSO, you must do so. He is a joy! 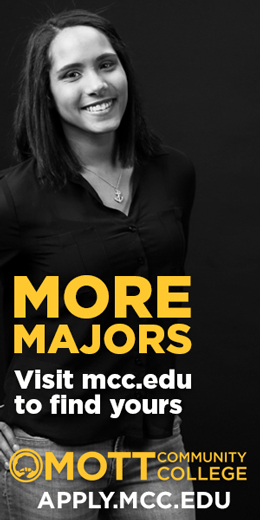 This season’s performances include: Romantic Rachmaninoff (Jan. 19), Beethoven’s Symphony No. 5 (Feb. 23), Ravel’s Bolero (March 23), and Mahler’s Resurrection (May 11).